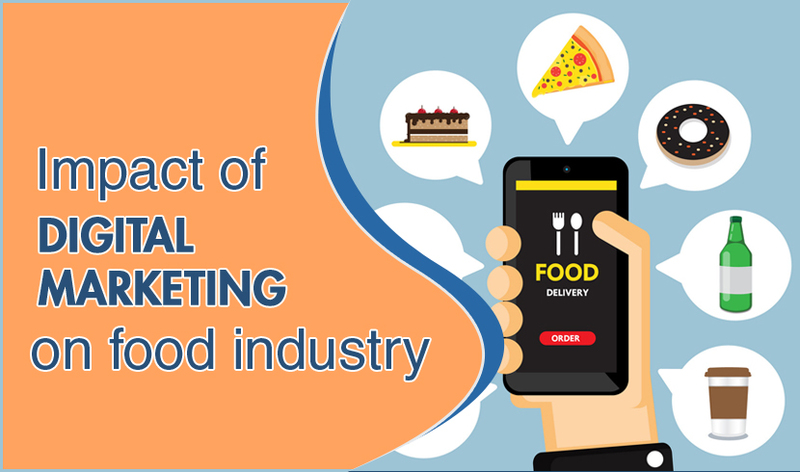 The food industry is one of the industries revolutionized by Digital Marketing. It has become very easy for food lovers to access the reviews of any restaurant and eating joints with access of internet on their mobile phones. With the introduction of new digital marketing channels, it has become easy for restaurant owners to search for their potential customers nearby. Your digital food marketing strategy should focus on factors such as taste, health and affordability. Writing blogs is one of the best ways to ensure that your business improves online visibility. Adding a blog page to your website ensures that your website gets a good ranking in SERP. You can write a good blog about tasty food, their health benefits, and nutrients. Through this, you are not only marketing your food but also you are creating a deep interest in the audience. Post your blog on all social media platforms and use Facebook paid adverts to reach to your potential audiences. By using Facebook paid ads you can create excitement about your new food items for your target customers. Include a proper call to actions in your ads to compel people to read your blogs. It's one of the best ways to boost traffic for social media and generate genuine leads for your business. If you are promoting your food or recipe in an event invite people for your event on Facebook. You can also promote your event by using paid ads with a relevant call to actions to bring people to your event. One of the best ways to improve the popularity of your brand is to run an exciting contest. The contest could be like for example like win a gift card of 100$ with the food. In a contest like this asking people to mention 3 people, repost the contest and ask them to follow your page through this you will be able to drive more engagements on your social media. Through this activity, you can even increase your fan following your brand. leverage the power of google ads campaigns show the offers of your ad copies for your restaurant use location extensions in your campaigns to attract people towards your restaurants. You can also use display campaigns to target people interested in particular food through banner ads. We provide PPC service to our customers with best in class quality. Instagram stories are one of the powerful tools when it comes to promoting your food and beverages. Use a catchy headline in stories to attract your audience. Many brands like daily harvest are using this as a great opportunity to increase their audience reach by using attractive images in stories. Influencer marketing is one of the best strategies for food and restaurant businesses. Generally, people love to upload photos at famous restaurants and eating at food joints by using hashtags and mentioning your restaurants. The other ways where you can do the influencer marketing is by asking the influencers to write a review about the restaurants, ask the influencer to tag your restaurant, host the event with the influencer, have the influencer food recipes with the person make a video and upload it on Instagram. Leading brands in the industry make good use of festive seasons to promote their products. You can even share your coupon code through offer claim ads on Facebook. Through this you can boost your sale or create interest among the people to buy your products. Brands such as Cadbury and nestle has been following this strategy. you can use Facebook and Google ads to share your customer reviews to attract more potential customers. You can even promote your video ads on google by using video ads. You can even leverage video ad promotion through facebook explaining the benefits of eating healthy food or vice versa to attract valuable shares on facebook. You can also add a video on the landing page to boost extra conversions. the press release is one of the best ways to introduce your new launch in the market. This is the most simple and inexpensive way of promoting products. Press release plays a key role in giving a positive impact on your target audience. Press releases are the best ways of developing backlinks for your website as the websites that do press releases are ranked as high authority websites. You can also boost a lot of referral traffic from press releases. by listing your businesses on google maps, makes it easy for the potential customers to find your restaurants if they stay in a nearby location. Which makes them easy to pick up the food if you stay nearby. People can also find your restaurants in GPS navigation systems. With the introduction of new digital marketing channels, the food and restaurant industry has also got revolutionized. With so many searches on smartphones and mobile devices, It has become easy for a customer to find restaurants and food joints nearby. With the introduction of new apps such as swiggy and zomato it has become very easy for people to order food online.